Located in Venice (San Marco), Ve.N.I.Ce. 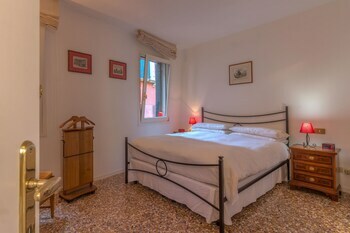 Cera La Terrazza is within a 10-minute walk of Rialto Bridge and Academy Gallery. Featured amenities include express check-out, multilingual staff, and luggage storage. With a stay at Angolo di Mondo in Mesagne, you'll be within a 15-minute drive of Parco Comunale Cesare Braico and Underground Museum. The front desk is staffed during limited hours. A stay at B&B Corte San Lussorio places you in the heart of Oliena, a 3-minute drive from Church of San Lussorio and 10 minutes from Mount Ortobene. With a stay at Hotel Clara in Bressanone, you'll be within a 15-minute drive of Cathedral of Bressanone and Isarco Valley. Free self parking is available onsite.